I’m sure that like me you’re tired of my lamentations, but hey what can I do, it’s what it is right now. After several laziness and career thinking bouts I just finished up my eulogy. Couldn’t find the words to rhyme plus my rhyme style wouldn’t even be appropriate (ask the 8 Mile Eminem and Retired blogger Delot, it’s hard work) so I settled with this prose. Amusingly it’s kind of like a combination of my last two posts, hope it doesn’t get y’all down. Merry Christmas and a Happy New Year to you, you and you. I see us doing big things this year…always look at the bright side of life. Oya chop knuckle now...one! It came as a wicked shock to me on December 16th 2006, that mum, you who had been all to me, had a day before passed away. I arrived from Benue that day in high spirits, happy to be free from NYSC issues and really looking forward to the holidays and to showing you the man that I’ve become. Only to be greeted by the sight of throngs of sympathizers and your condolence register. Mum it was utterly surreal grasping the reality that I had been 24 hours too late. My thoughts wandered all over the place. It was agonizing realising that our phone call three days before would be the last I would hear from you. And that our parting seven weeks earlier (an occasion on which you had given me some sober motherly advice) was to be the last I was to see of you. When I remember all you suffered for me, the love and care shown to me since birth and all our mother-son conversations I seriously regret every single moment I spent arguing and quarrelling with you and just wish I could turn back the hands of time to take care of you as you did to me. It’s so unfortunate that one as gentle as you would pass away in a car crash. I really miss you mum, I’ve cried out all the tears in me to the point I’m now crying inside. But being mere pawns in the hand of the creator I’m resigned to the fact that God knows best. Mum you raised me well, and having my siblings and father to weather the storm with I’m sure that as you live through me I’ll always do you proud. I love you mum. awwww that was so sweet of you TRAE, God bless you and your family, may God who has seen you through the last few weeks keep and guide you to fulfill momma's dream of the man you will eventually become. It is well with your soul my brother! sweet. i'm sure she's smiling down at you. BTW We are not tired of your lamentations, because we understand. This was really touching. The Lord will continue to strengthen you and your family. Kindly accept my sympathy my brother. I'm am sorry about your loss. I don't know how losing your mum feels, but I pray that God grants you & your family the fortitude to bear the loss at this trying time. God bless. Sorry for you loss Trae. May she rest peacefully in Gods bossom. Please accept my heartfelt condolences. May she rest in the the bosom of the Lord. Be well Trae, now you have another Angel watching over you. Yours is no lamentation, my sympathy and condolences on the death of your mother Trae. Be strong! So sorry about ur mum's death. Please accept my sympathy. May her soul rest in Perfect Peace. Amen. My thoughts are with you at this time. Your Mum would love the Eulogy I am sure. I am sure she is looking down on you with pride and love. She knows your heart. Nicely written. My condolences, may her soul rest in perfect peace Amen. Stay Blessed. May your mums soul rest in perfect peace. this touched a part of me i had left buried and refused to touch since it happened. (the day my dad died).i know what it feels like to lose a parent.i dont want to go on and on.but it will get better,it will. I am very sorry to hear of your mother's death, my sincerest condolences. It's no easy thing to lose a mother; may God grant you the strength to endure even as He welcomes her to His bosom. her soul somewhere beta hoping that we can..
make it 2 heaven. TRAE we'll make it cos its.. Gods design 4 mankind that non should perish..
and one day u will c her in d still a d nite. Hey Trae. Really sorry to hear about you losing your mom. Treasure her memory and keep strong. I'm so sorry about your loss, Trae. I pray for God's strength and comfort to be with you and your family. Keep your head up and blessings to you and your family. so very sorry for your loss... all the best in dealing with this difficult time. Im sooooooooooo sorry for your loss. I missed ur blog and just decided to check up on u. I was just going to ask how service is going. My heart goes out to you. ohhhhhhhhh please accept my deepest sincerest and heartfelt condolence. May God keep you and comfort you and your family in this time. May his eyes never leave you. May he bring joy and comfort to you. May he make you into the kind of Man she'll always be proud of. It is already well with you and yours. God is with you and hence provided you with the strength and comfort not to forget, but to move on. My thoughts and prayers are with you at this time, and most importantly God is with you at this time. 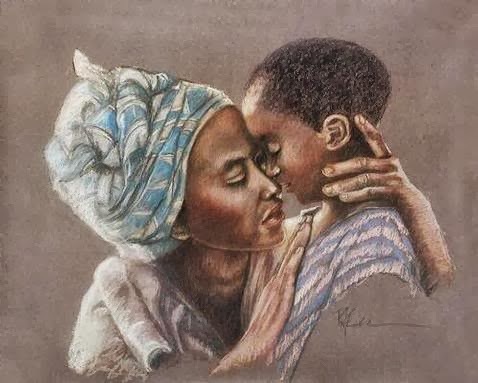 I'm sure your mother is looking down on you and smiling right now not only because she is happy and in a better place, but that her son is all she ever wanted him to be and is. You are beautiful. Keep your head up, young man.